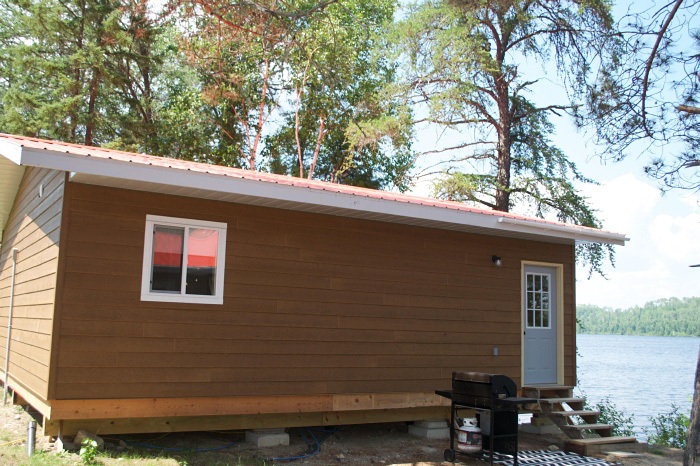 Atikokan Fishing Cabins on Banning Lake: Please go to our social media page and click on the Youtube icon to view videos of cabins & more!  The link is under contact/rates in the main menu above. 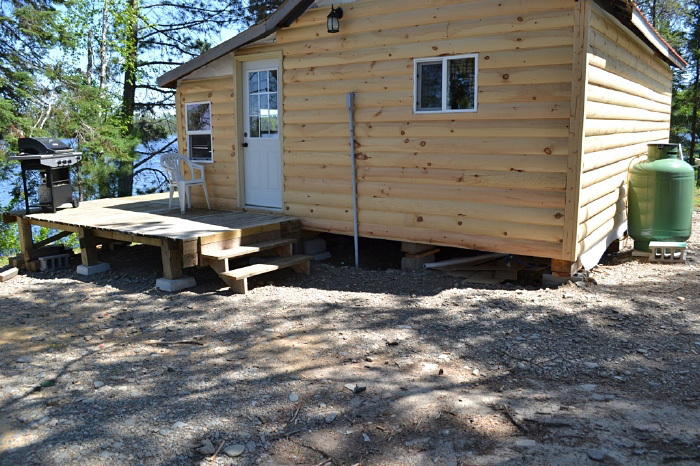 In 1932, an enterprising individual cut out some land on a point on Banning Lake and built two log cabins out of the trees they cleared. 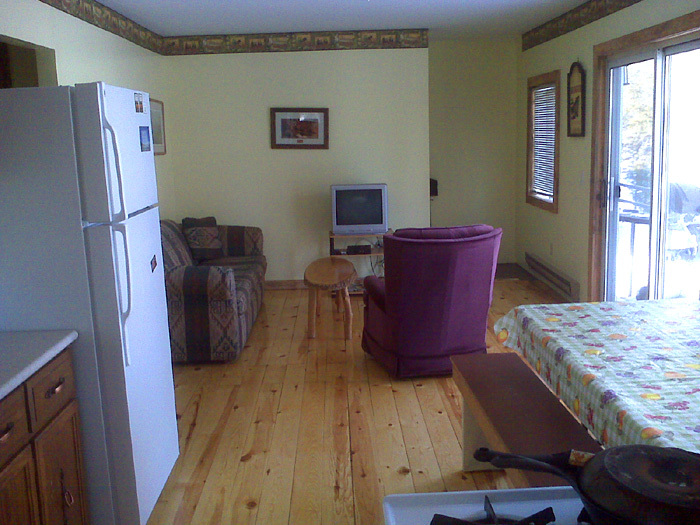 Seine River Lodge was born. 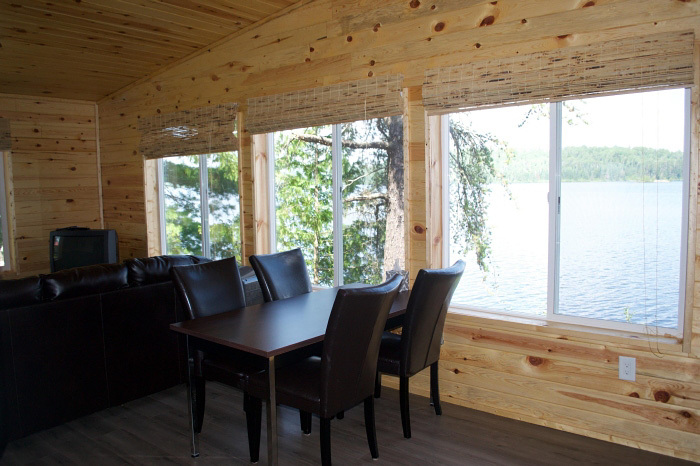 Fast forward to next century and you'll find our camp on the same spot, offering the same beautiful scenery and fantastic fishing, but with many more creature comforts. 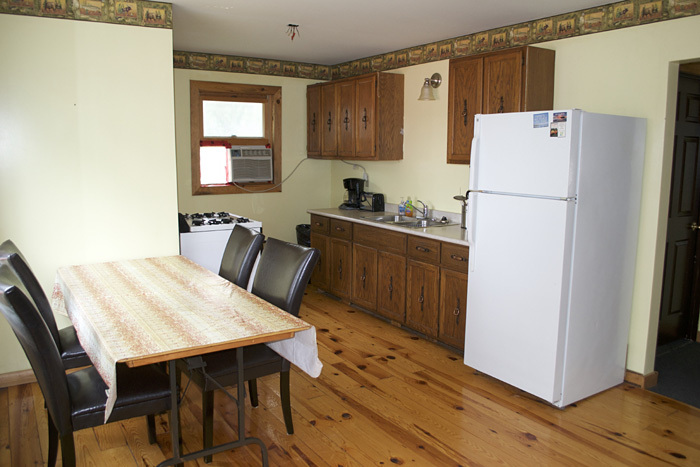 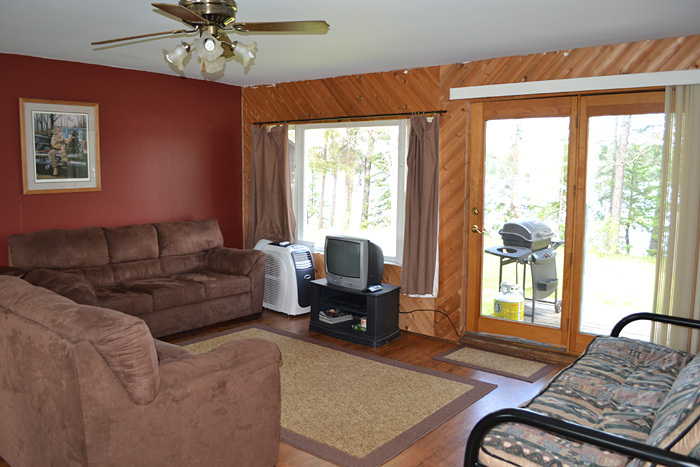 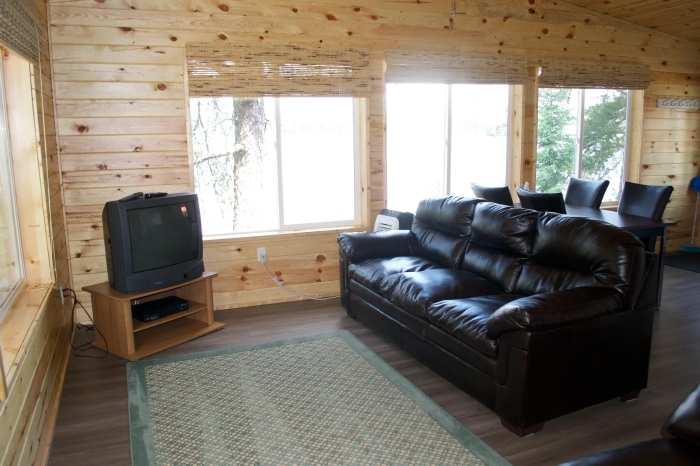 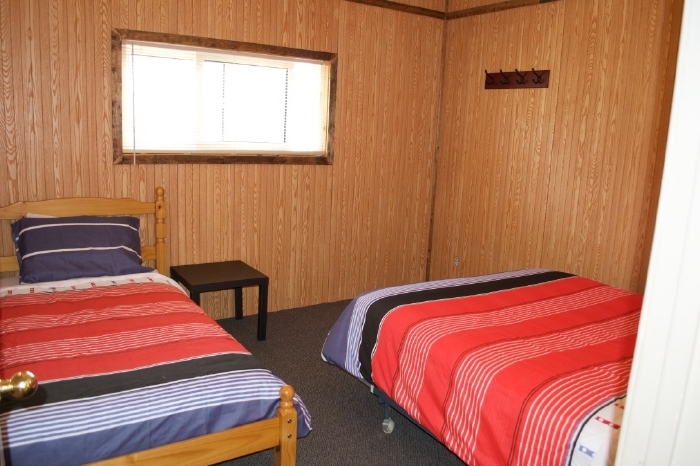 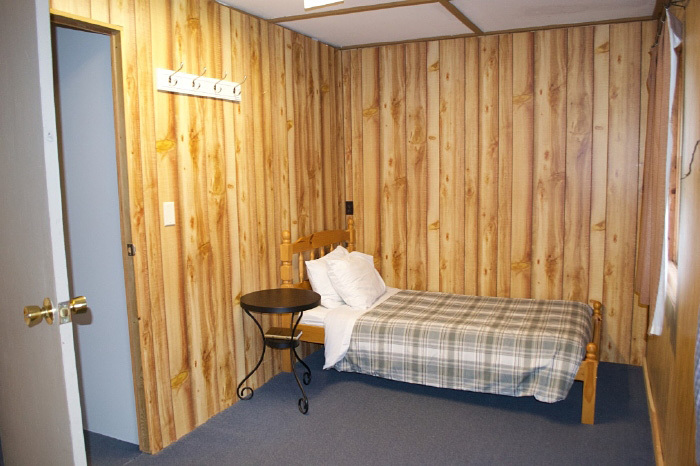 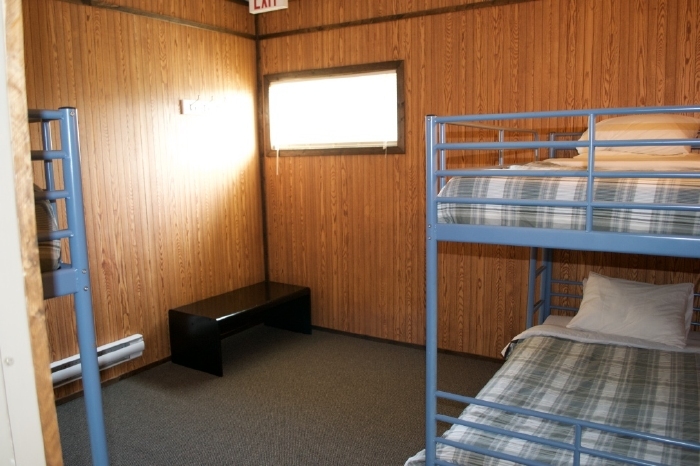 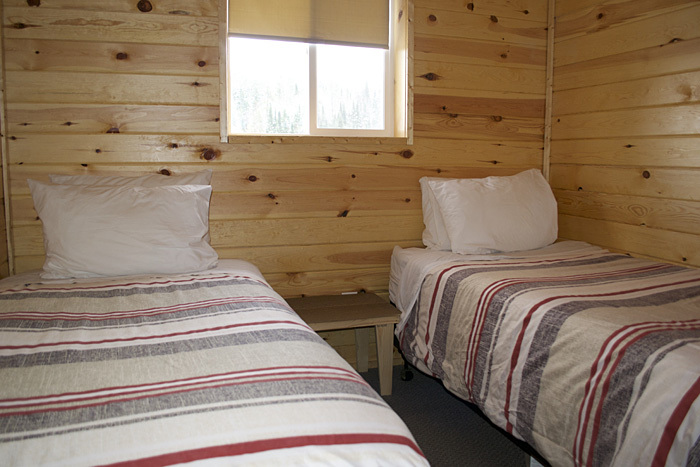 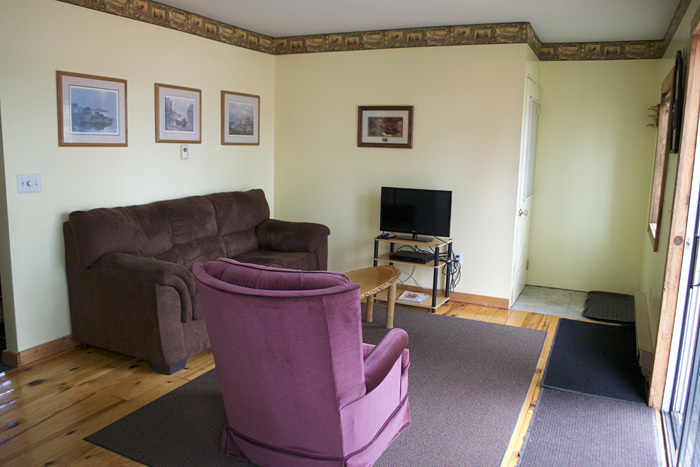 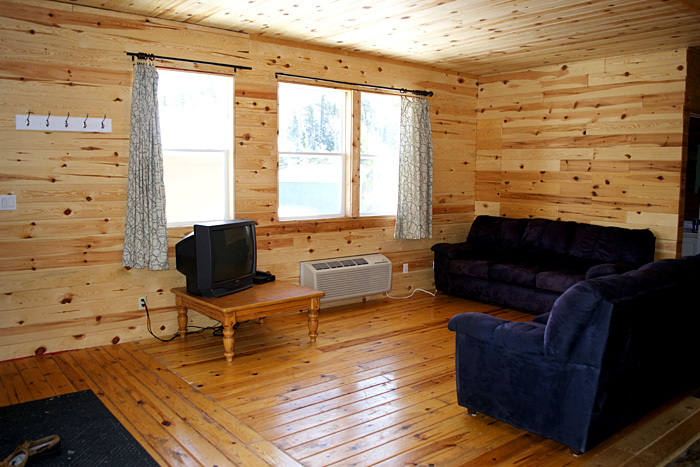 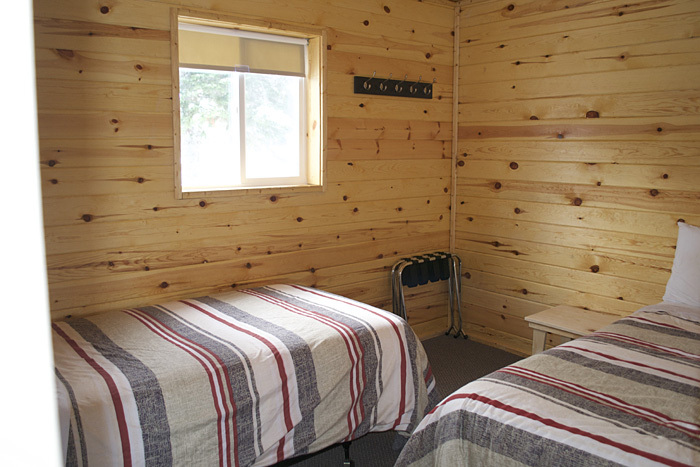 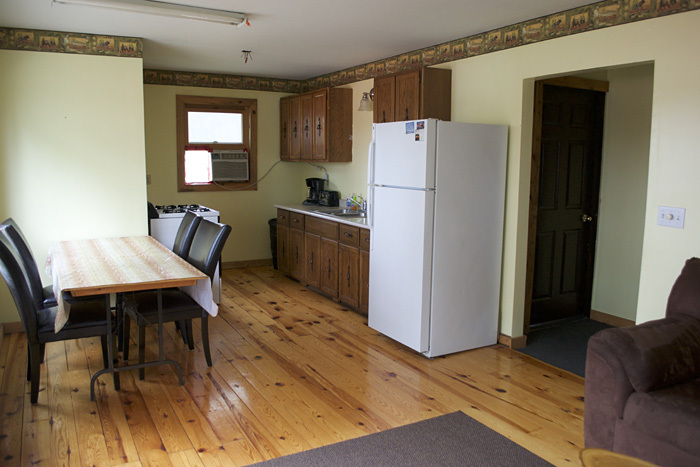 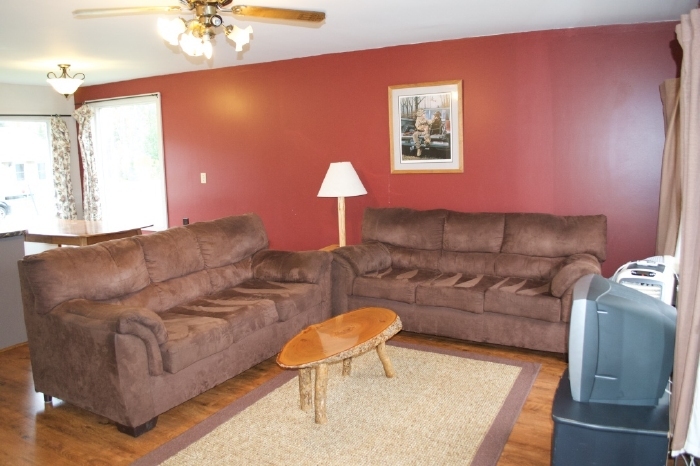 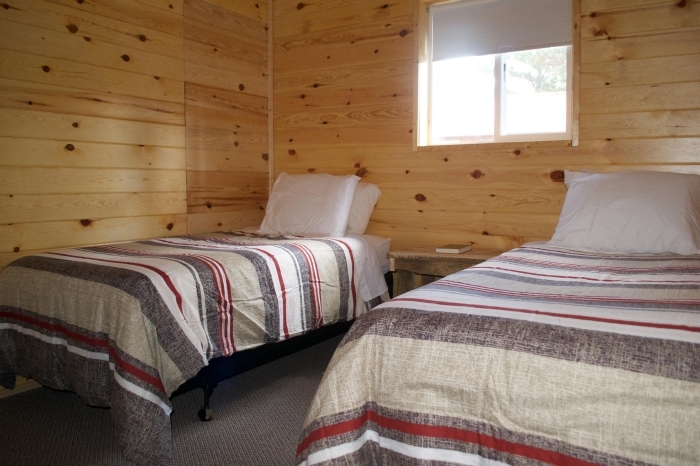 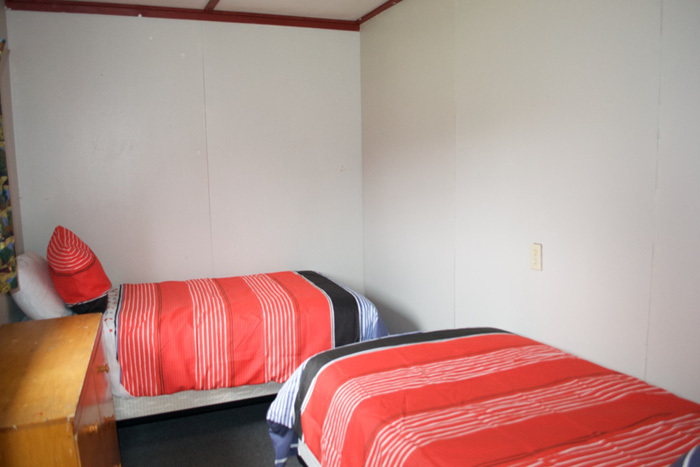 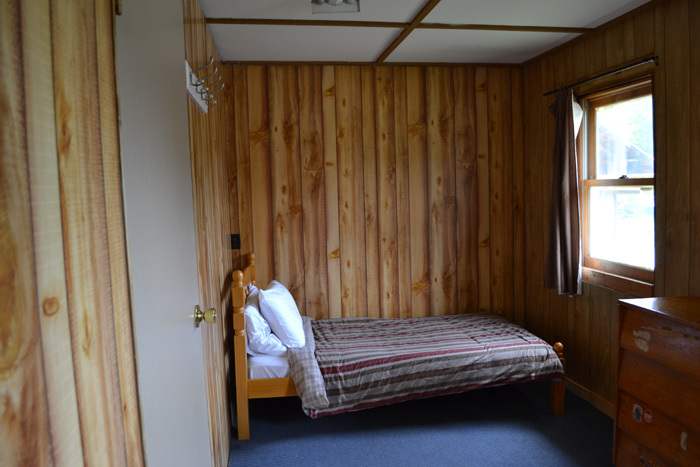 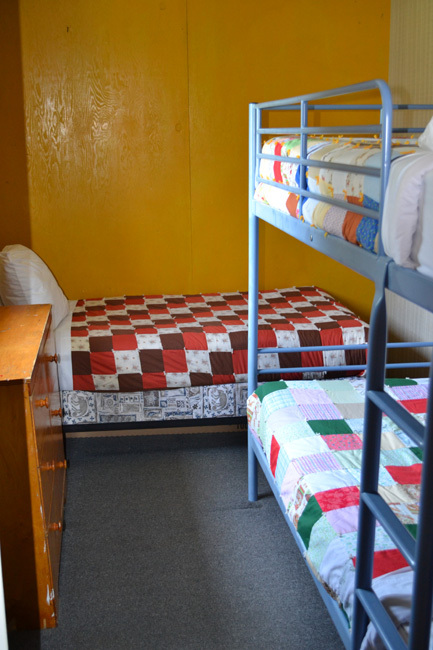 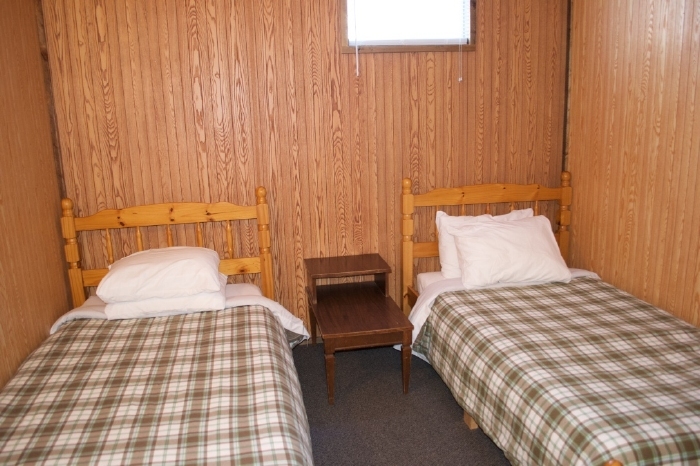 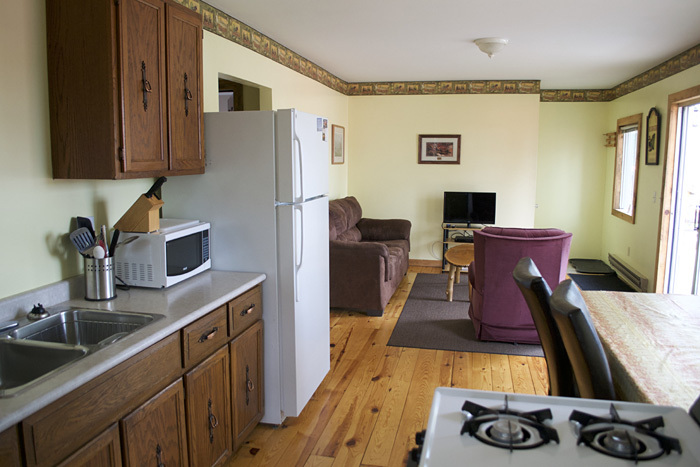 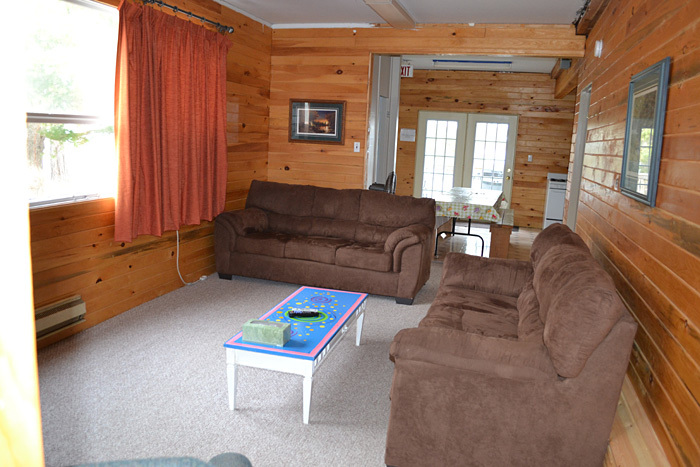 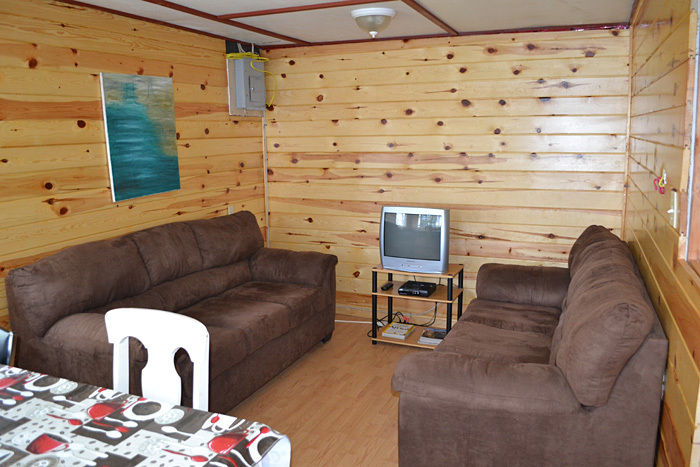 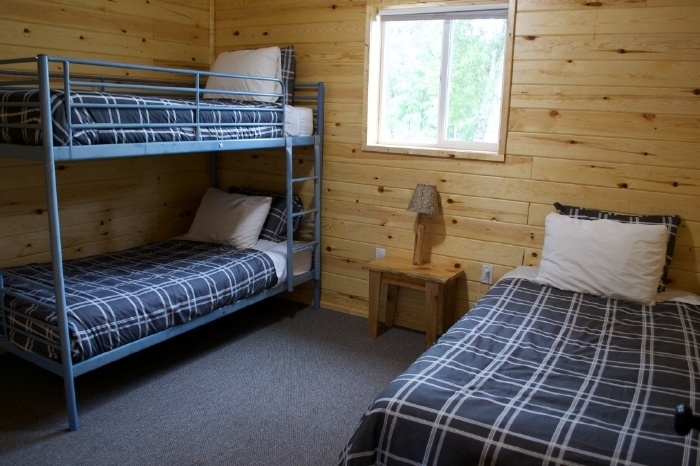 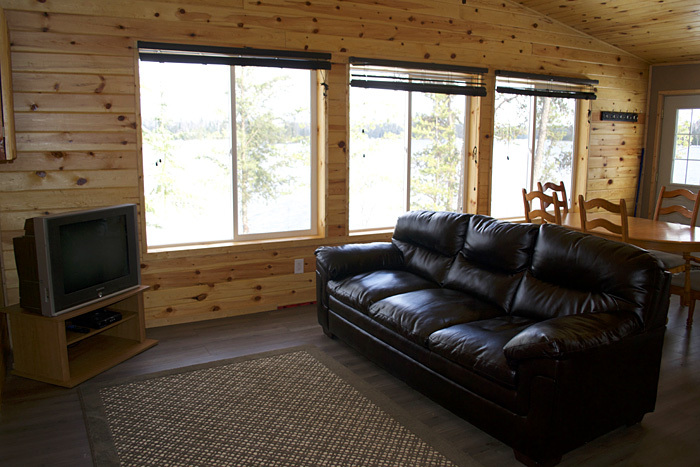 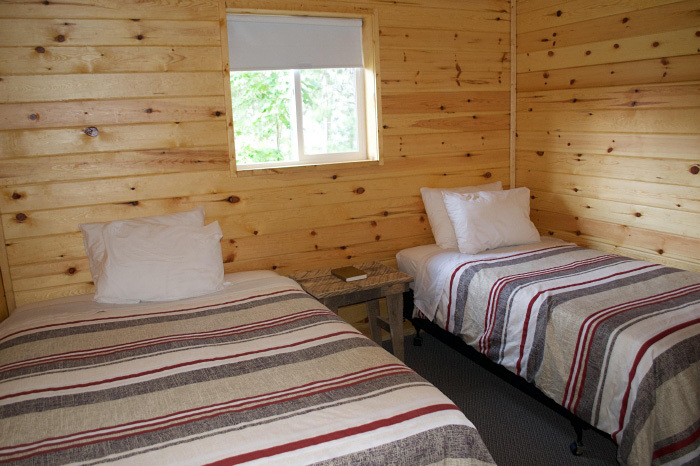 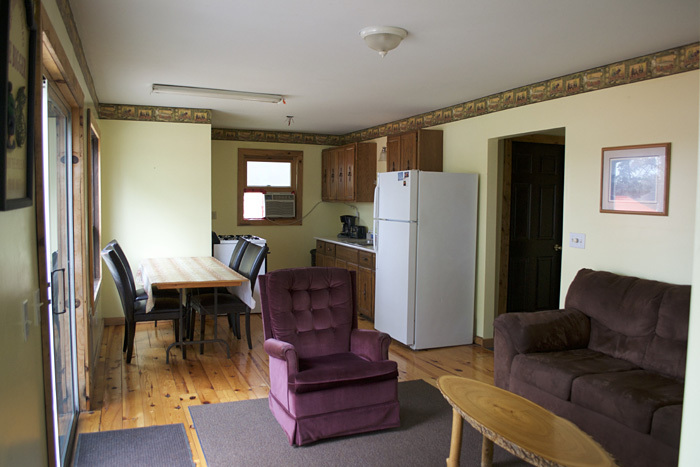 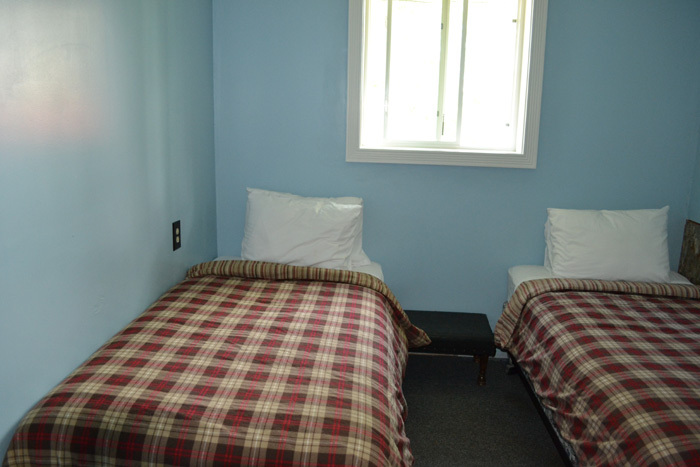 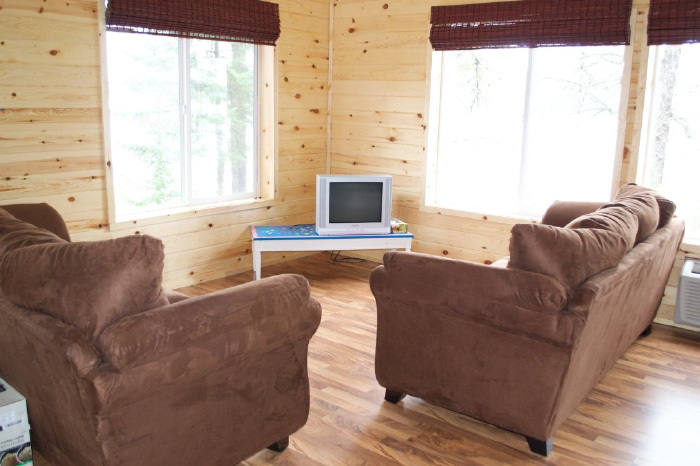 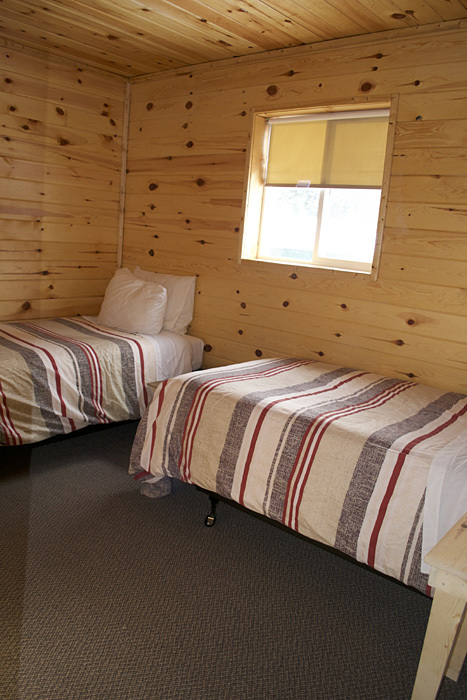 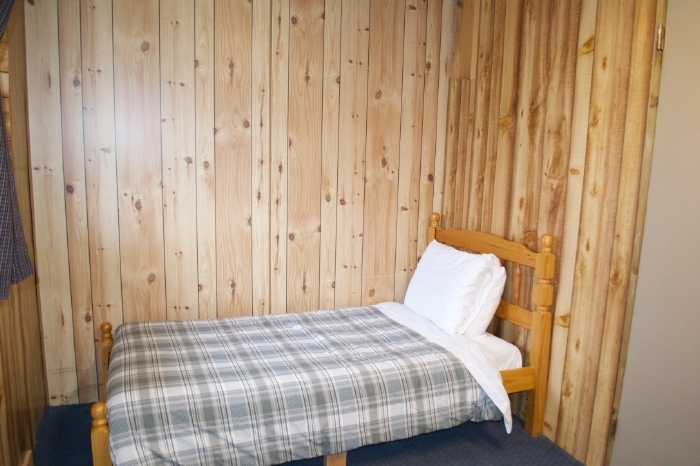 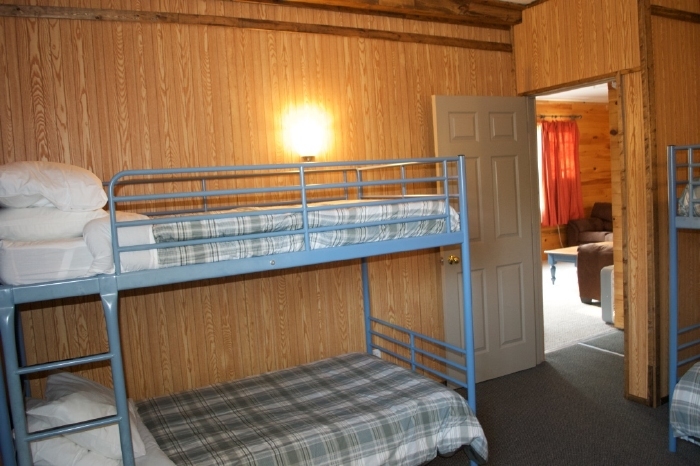 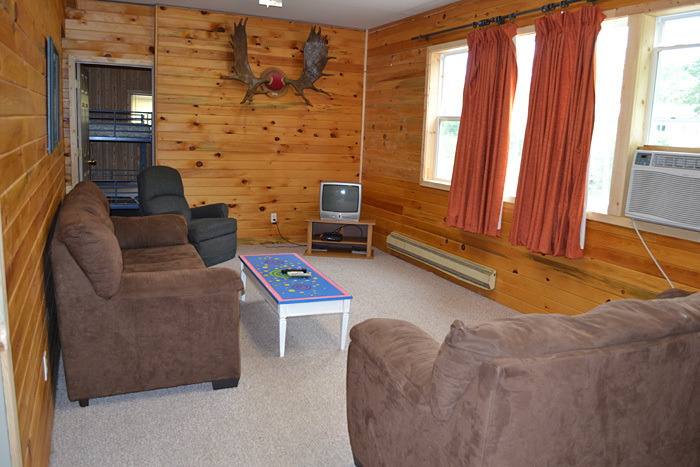 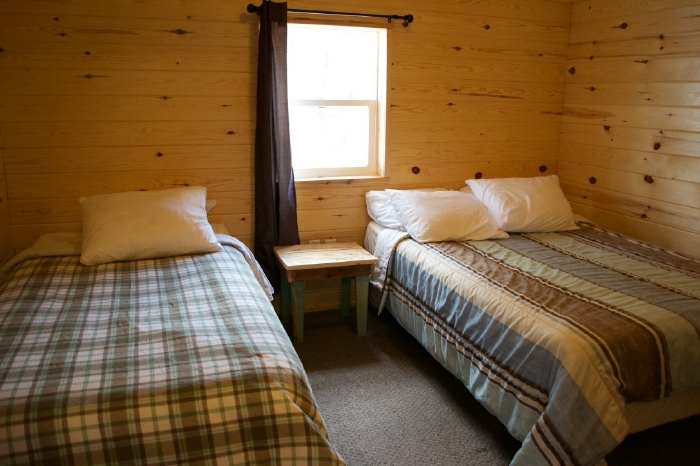 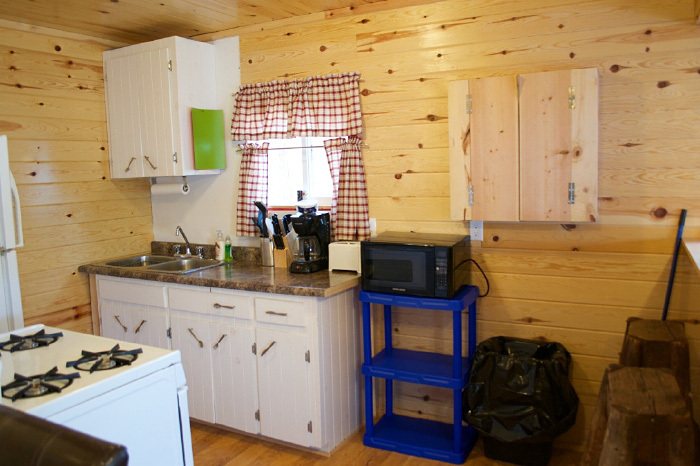 Some of our cabins are newer, and some older, but all are frequently renovated and updated with new furniture. 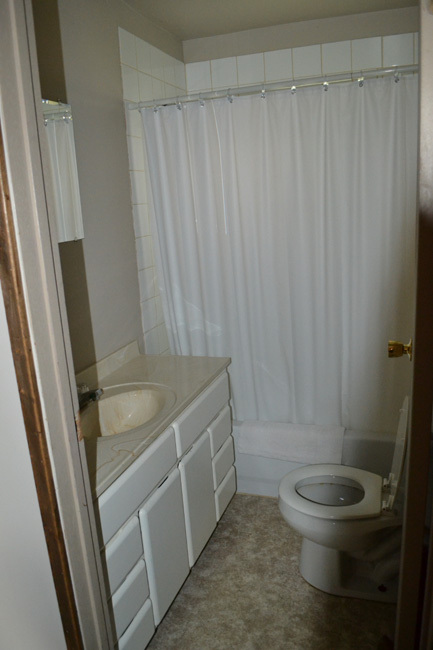 Even the ones that are older don't seem like it. 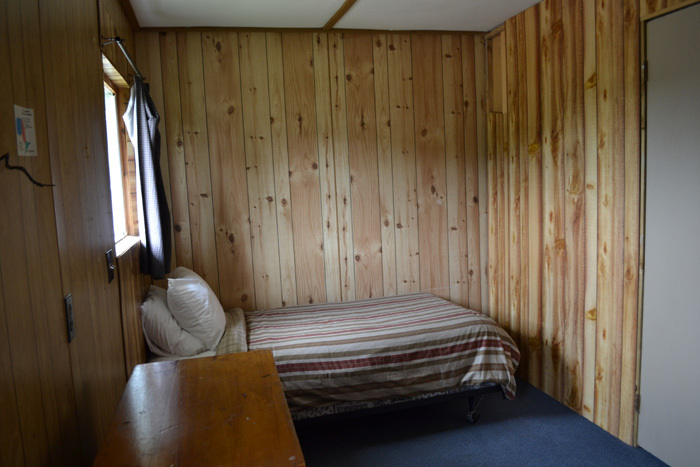 A cabin that has some history - although you would swear it was brand new. 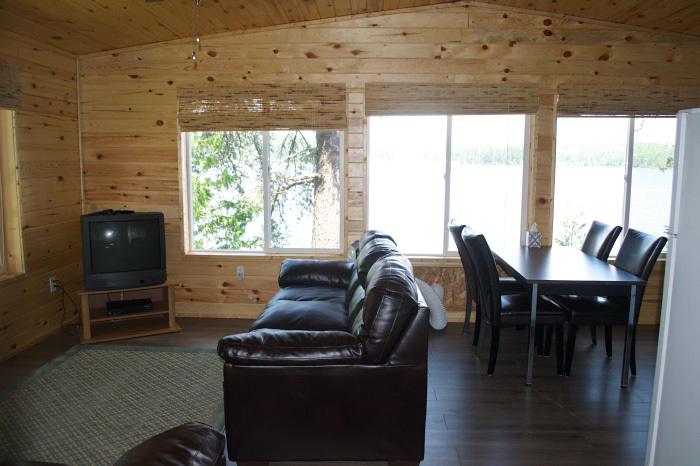 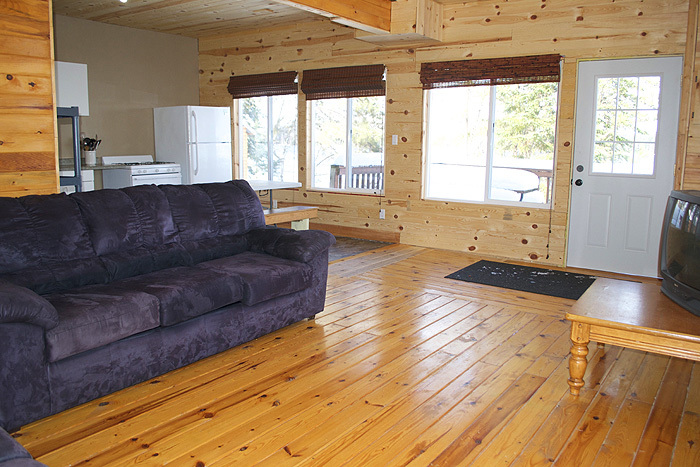 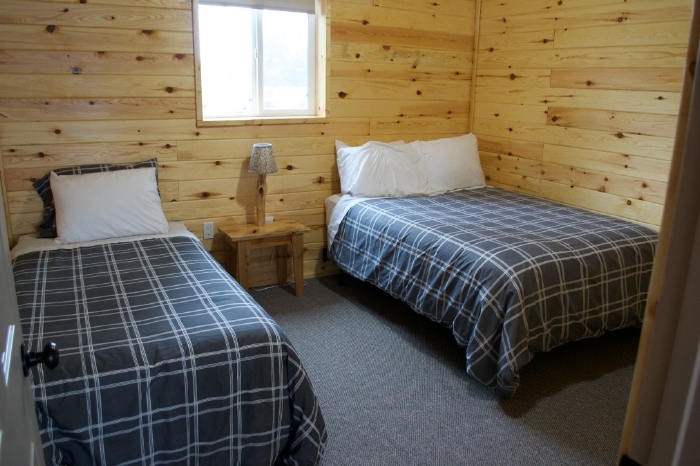 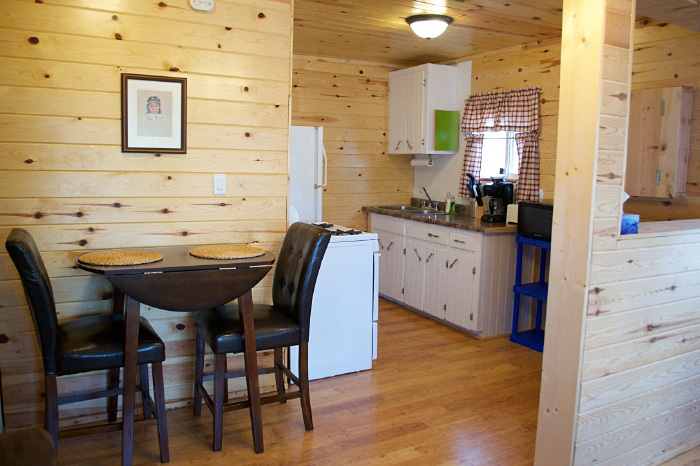 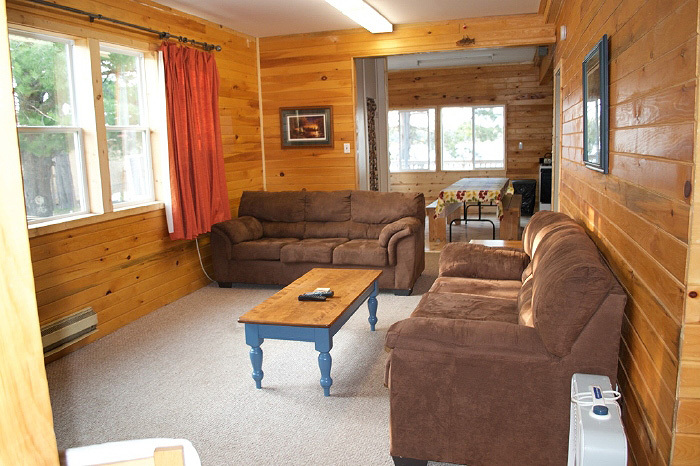 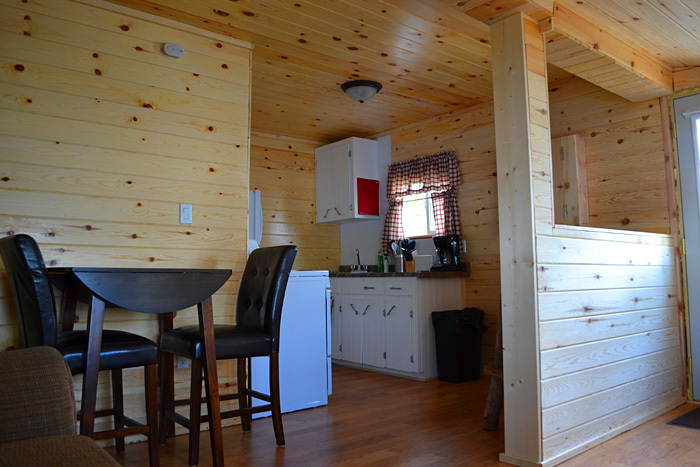 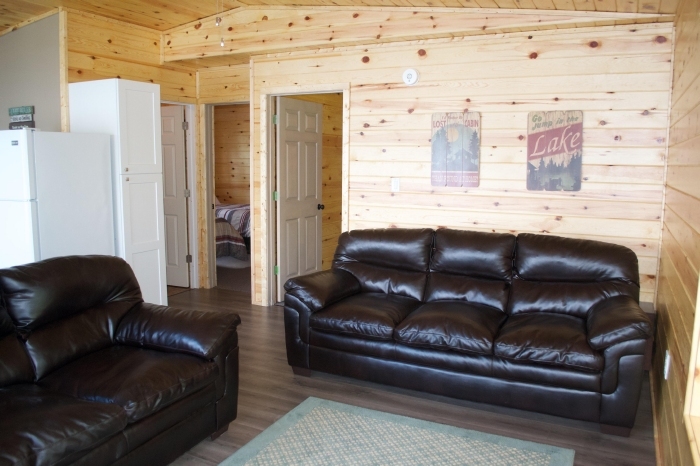 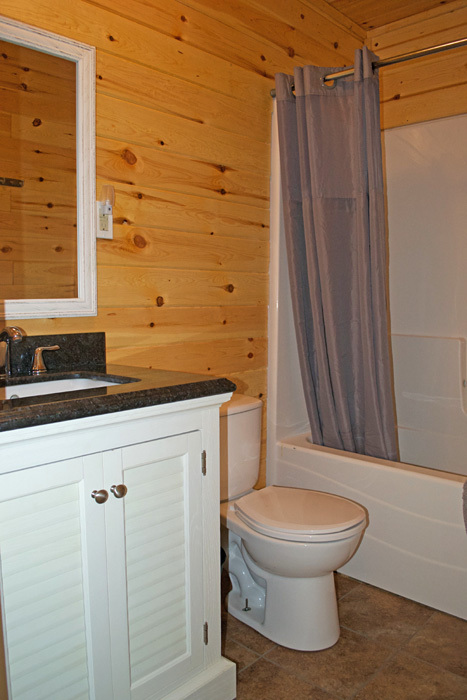 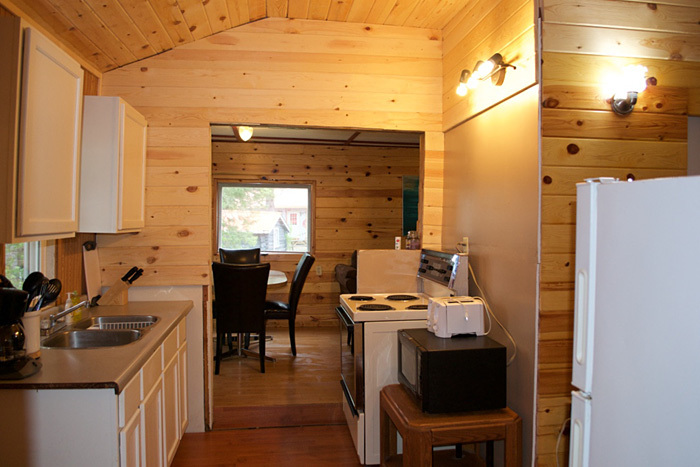 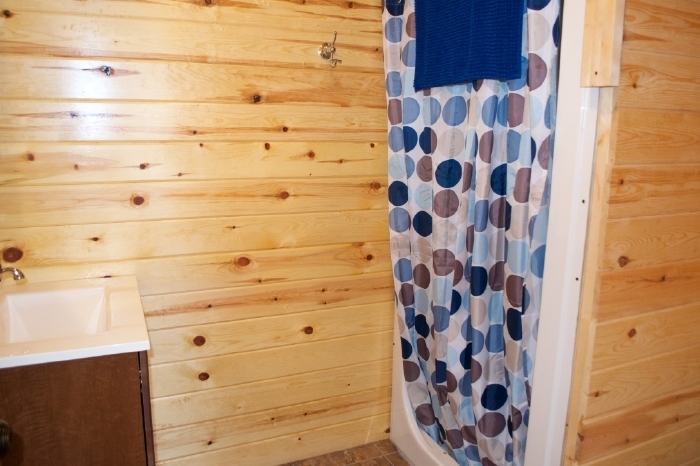 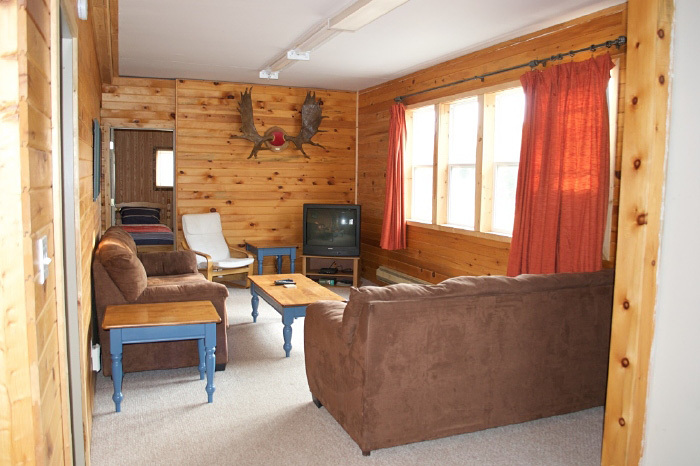 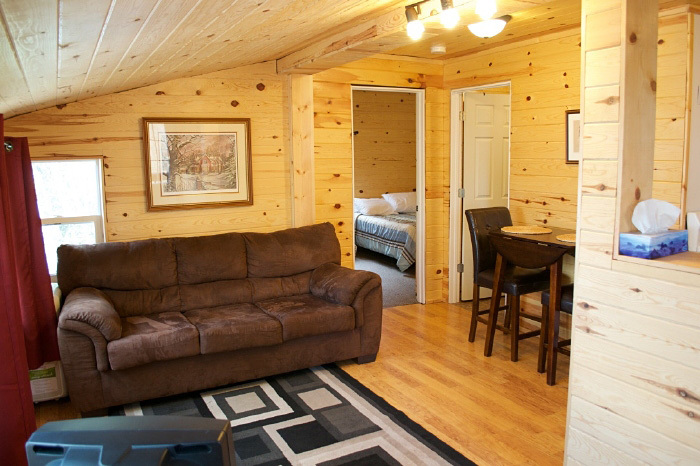 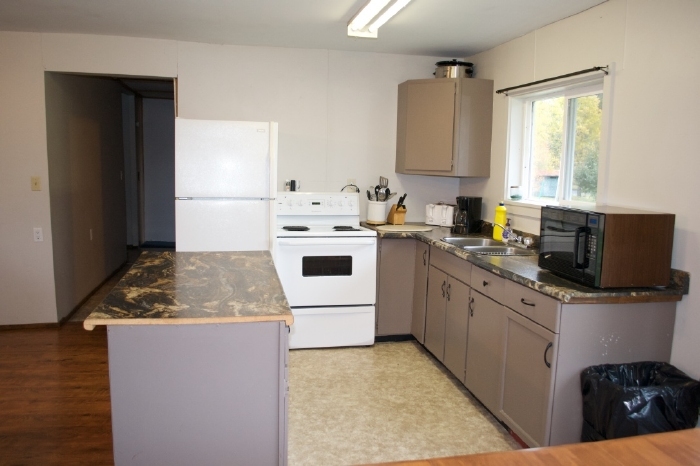 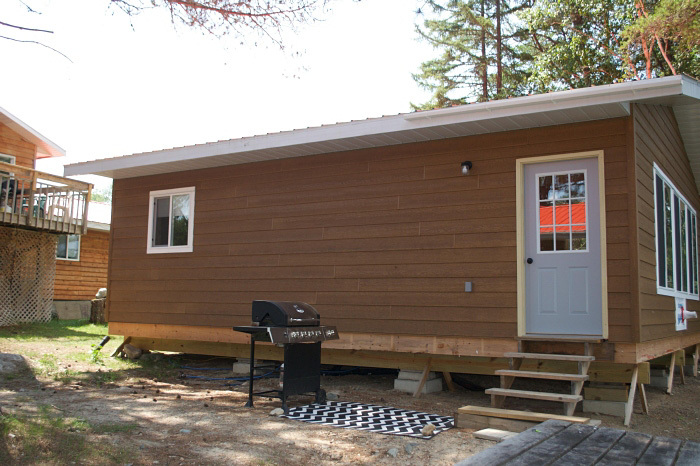 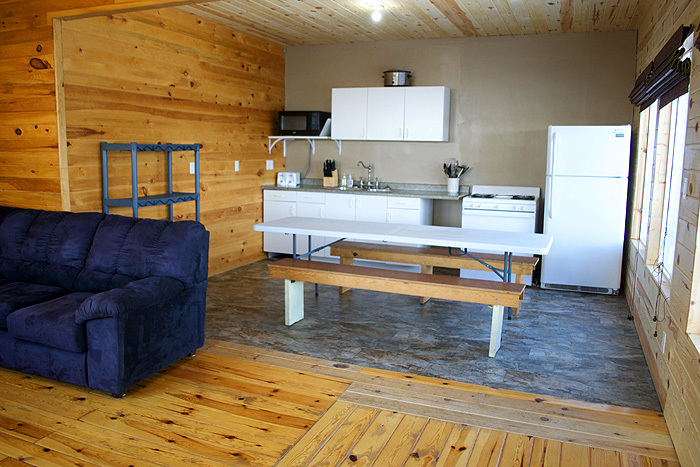 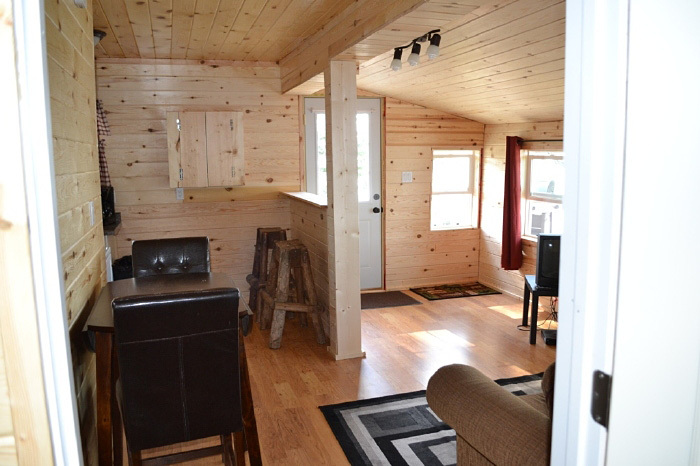 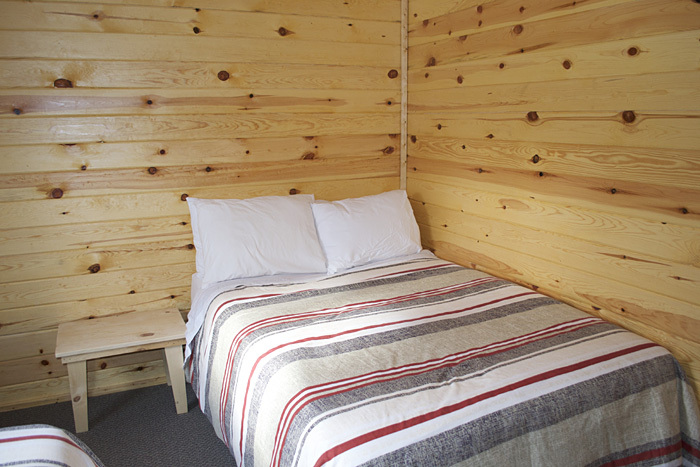 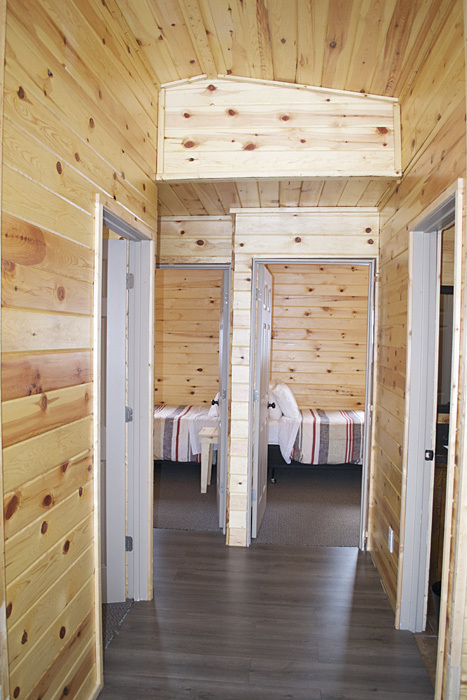 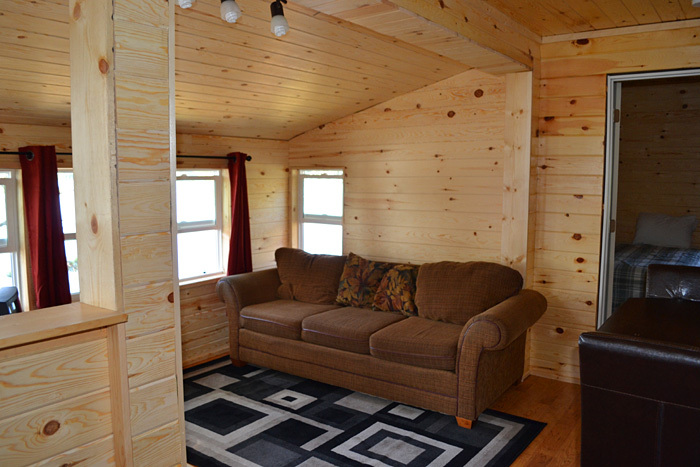 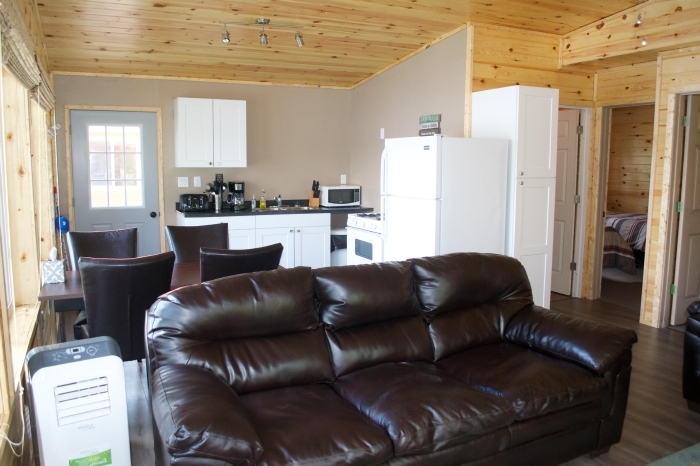 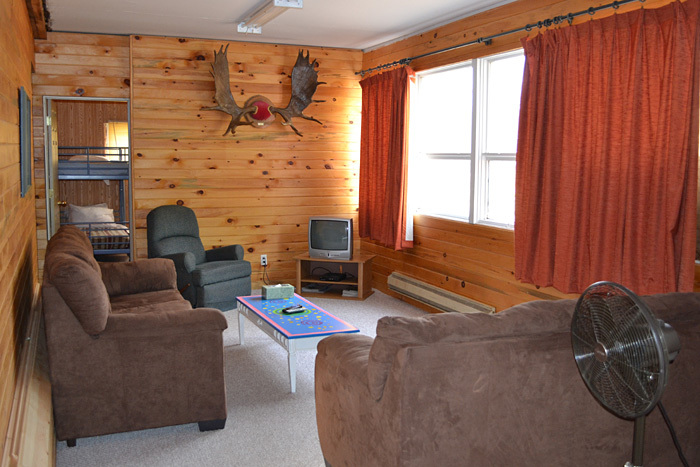 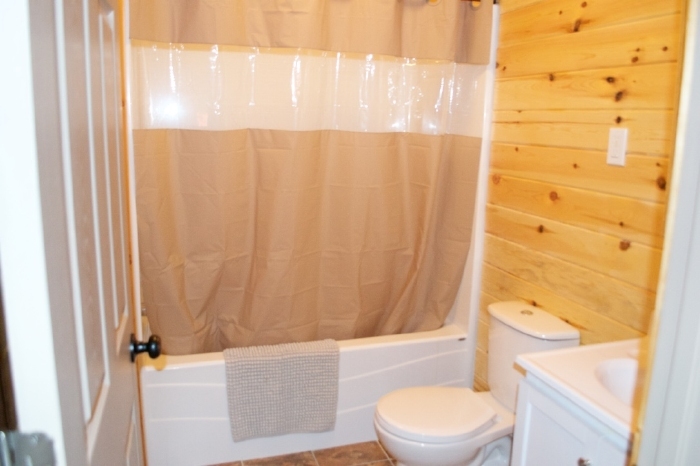 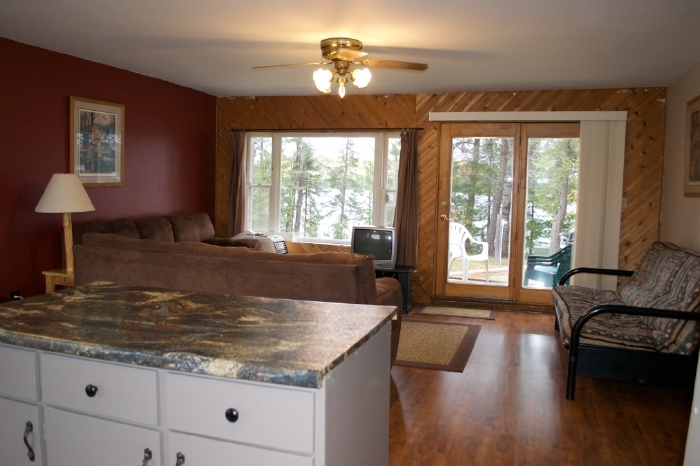 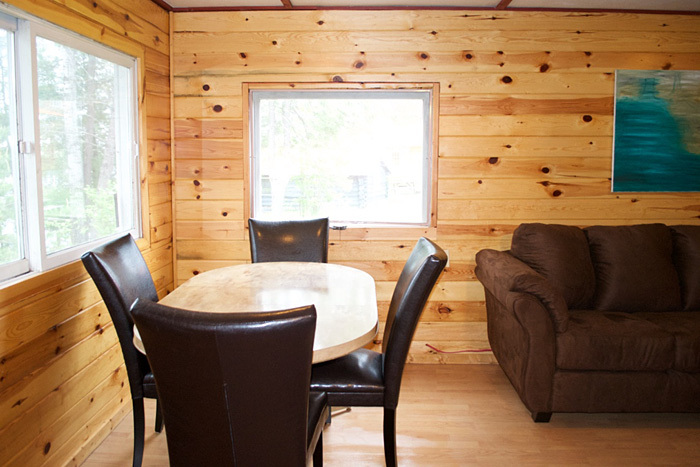 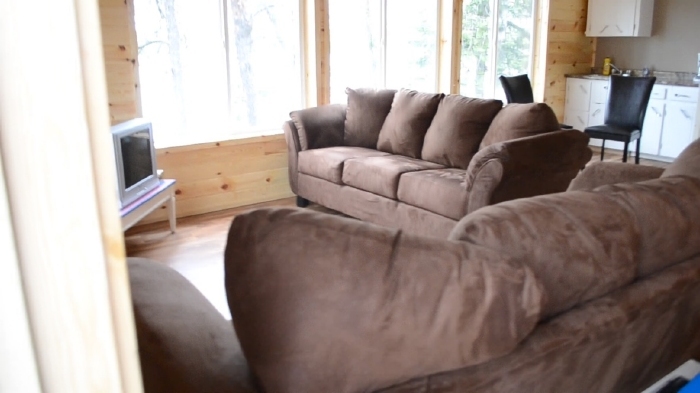 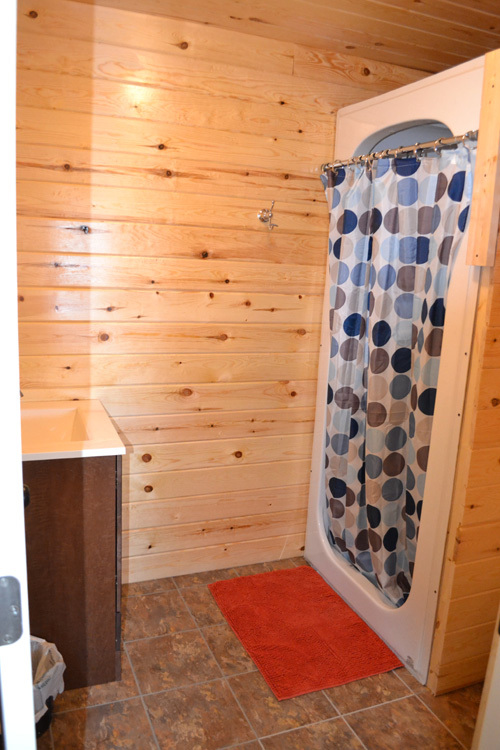 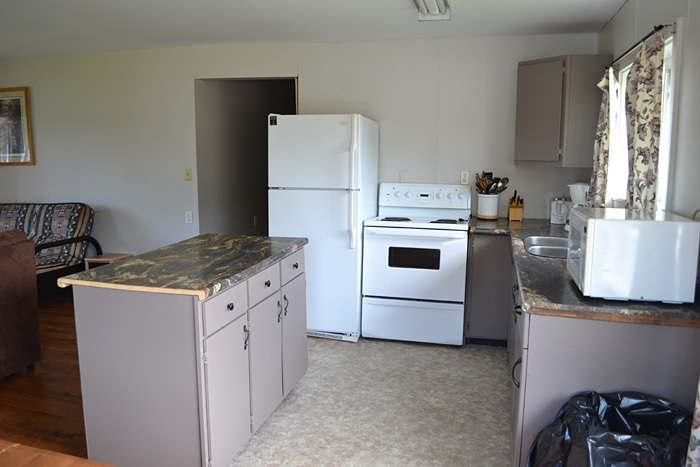 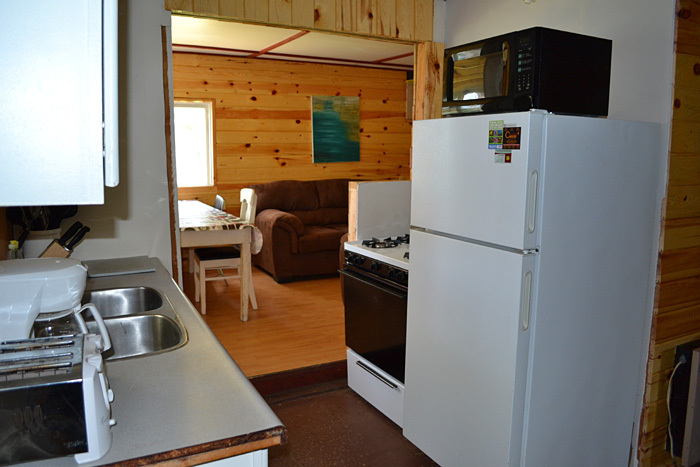 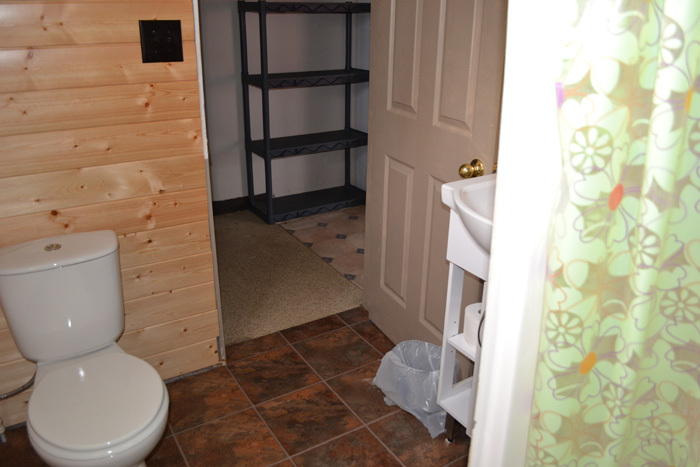 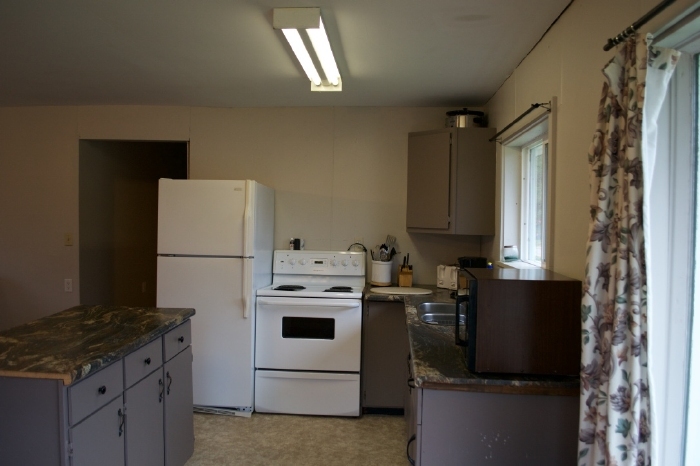 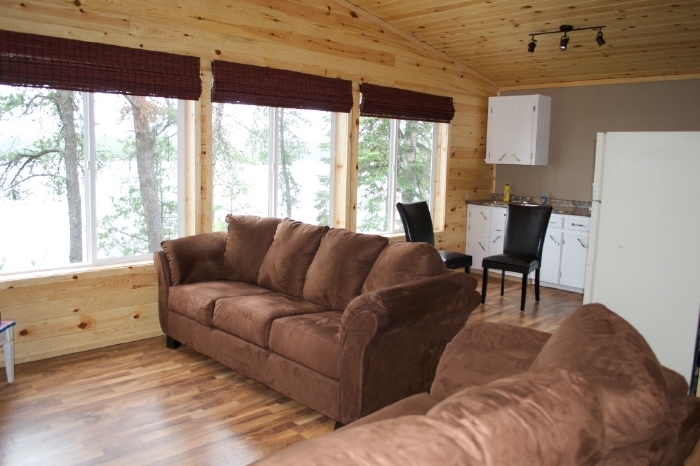 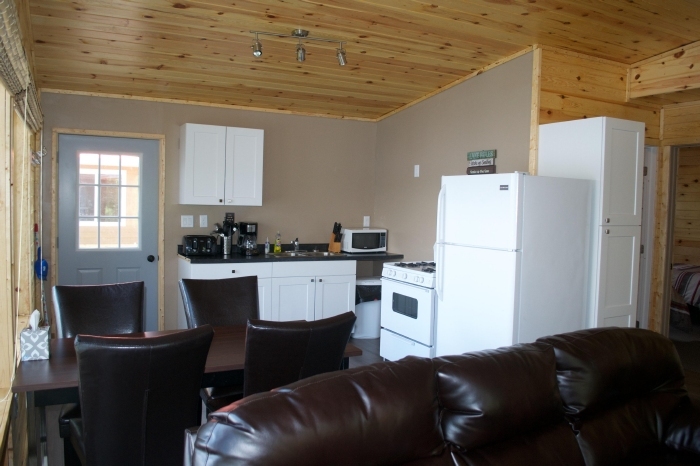 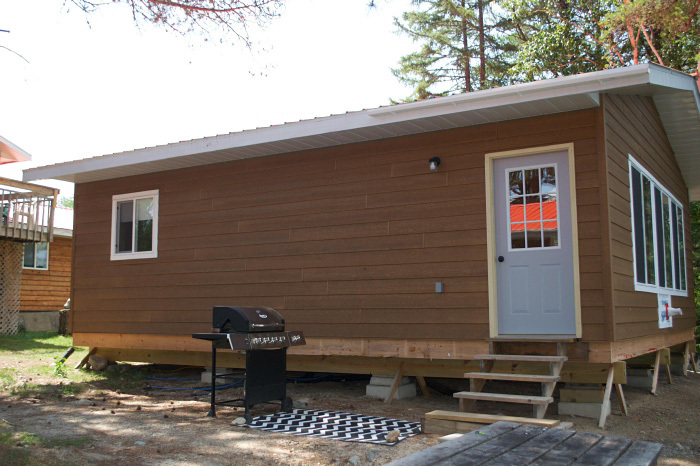 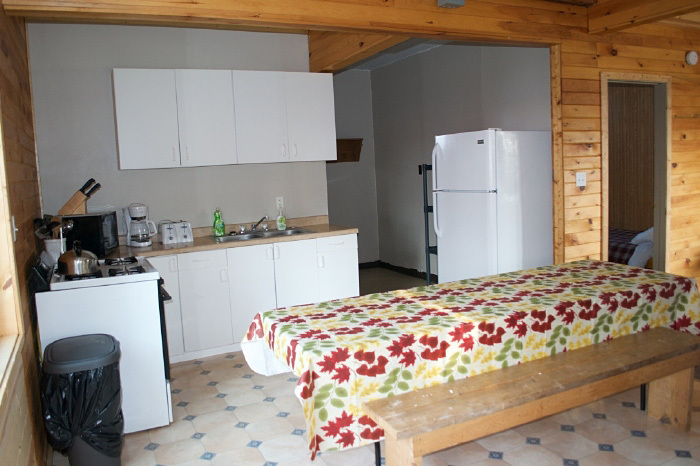 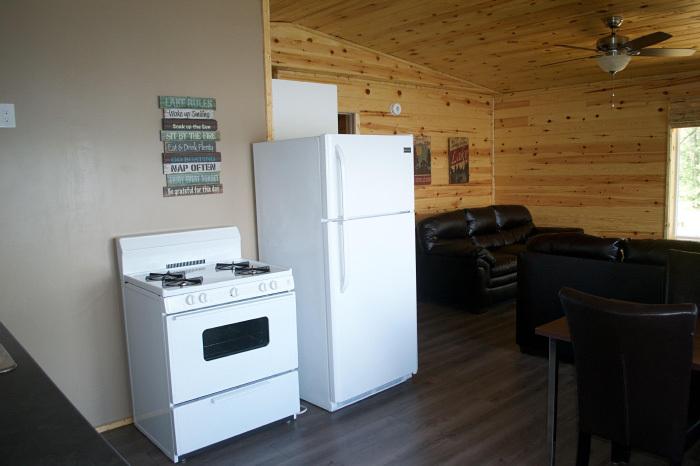 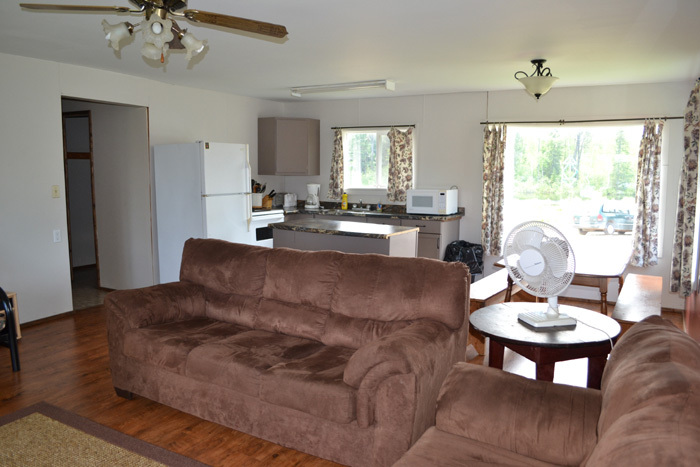 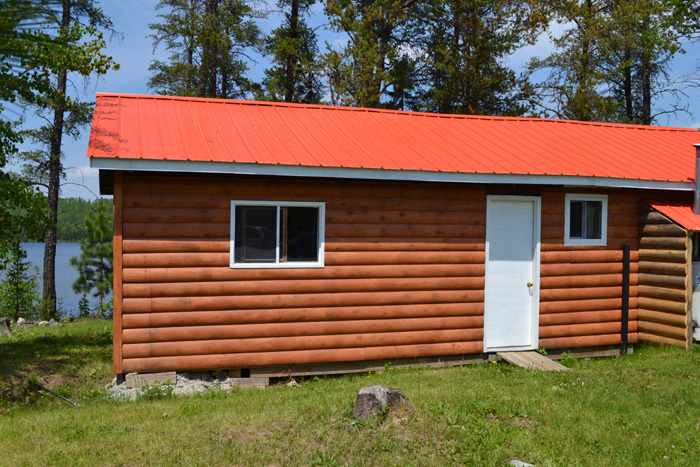 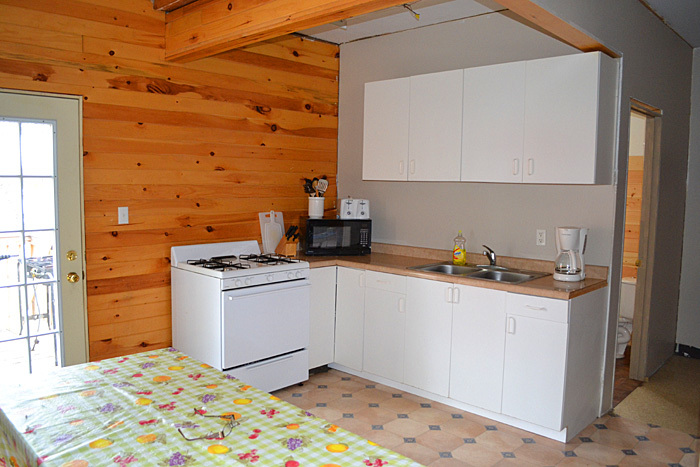 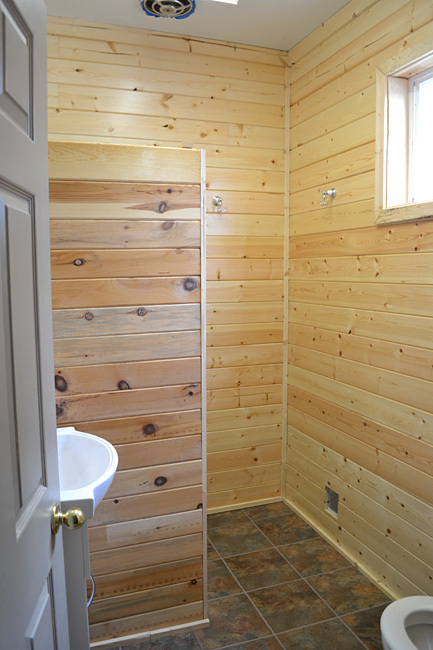 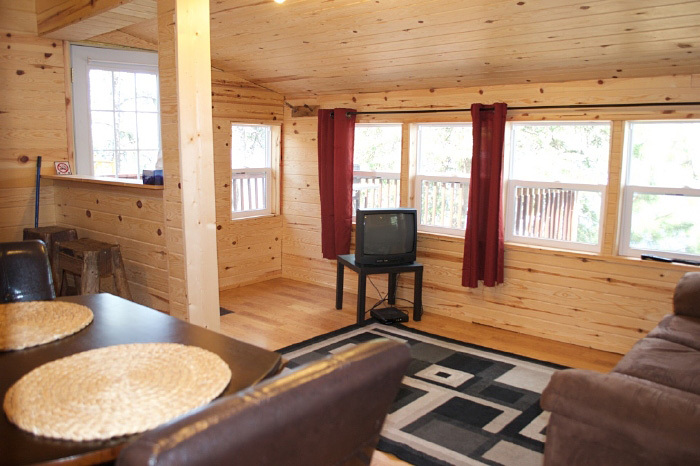 A perfectly sized 1 bedroom / 2 -3 person cabin, completely renovated and with all new furniture in 2014. 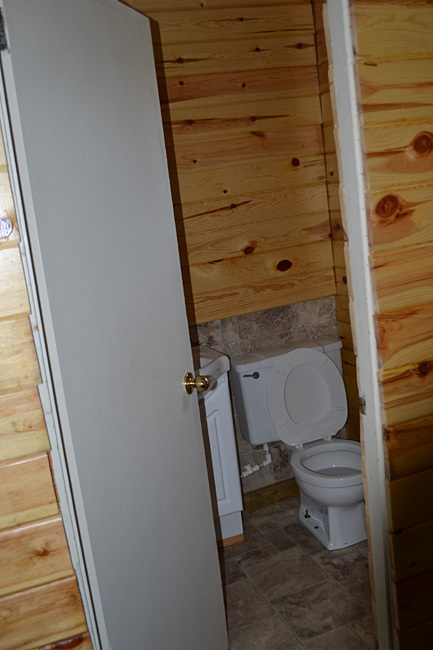 All the amenties that all our cabins feature. 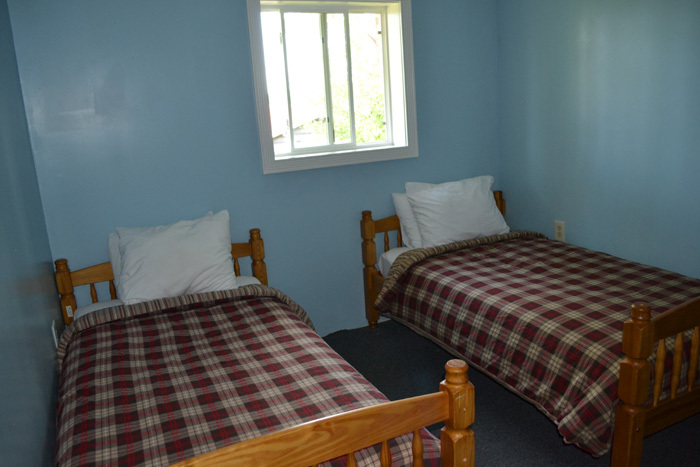 Bedroom features a double and a single bed. 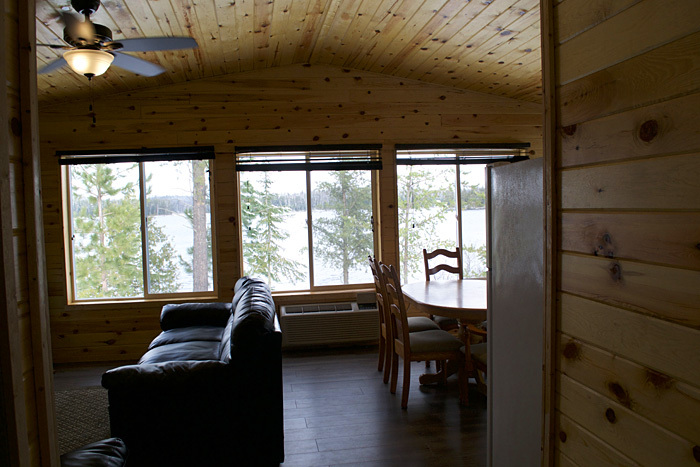 Living room and deck overlook Banning Lake - only feet from the front of the cabin. 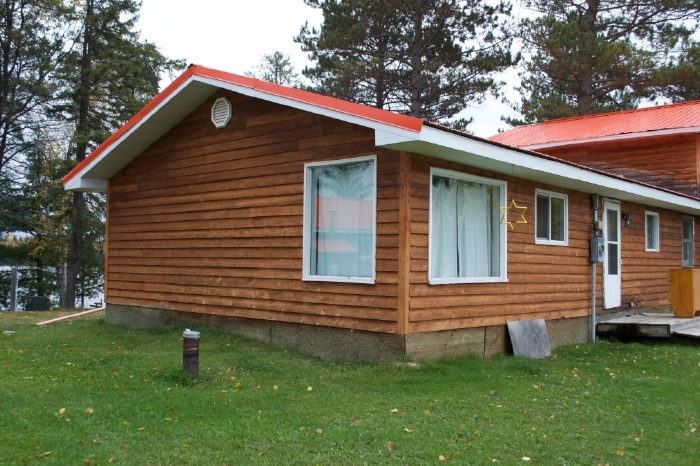 Reputed to be a Quetico Ranger Station at one point in the 1950's, it served as the owners residence until 1967 when Carl & Joan Branch purchased the camp from Charlie & Babe Ekroos and converted into a rental cabin. 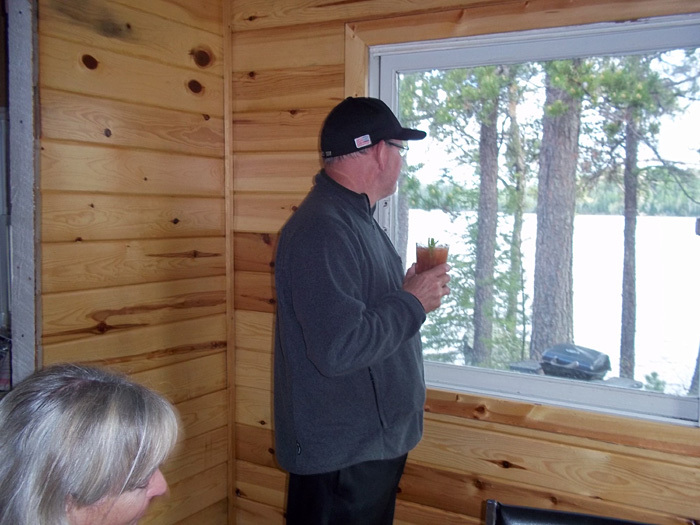 In 2014 we completely renovated it - it's still the same cabin with all the history echoing off the walls - but for all intents and purposes it is new. 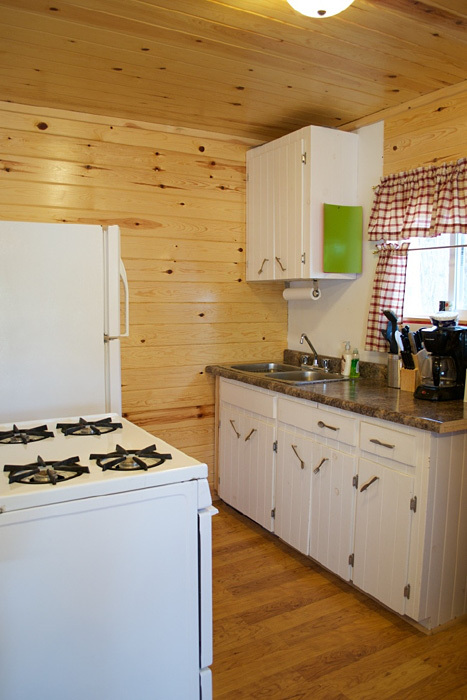 A 2 bedroom cabin, originally built in the mid part of the last century. 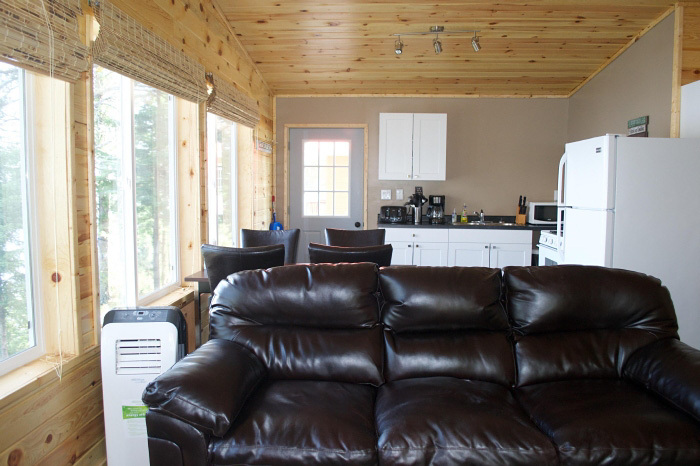 We completely renovated this cabin - inside and out - in 2016 and it is fully equipped as listed above. 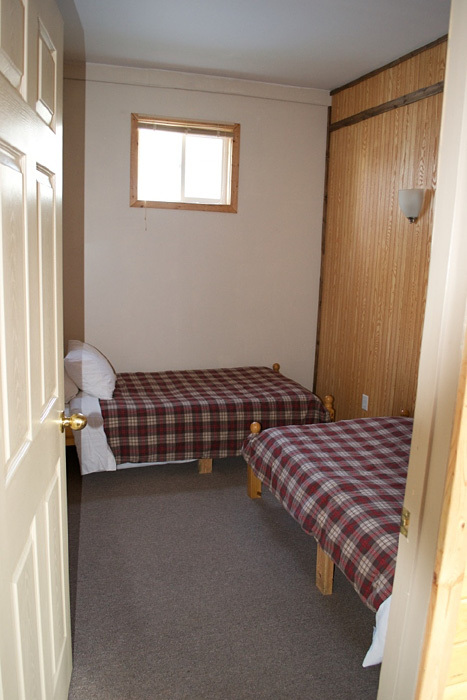 Each of the 2 bedrooms has two twin beds in it making it perfect for 4 people. 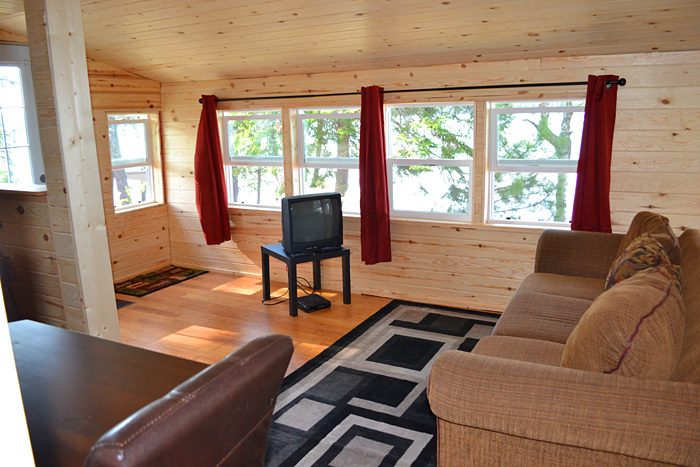 The screened in verandah overlooks the lake and the private fire pit (which makes it one of our most requested cabins). 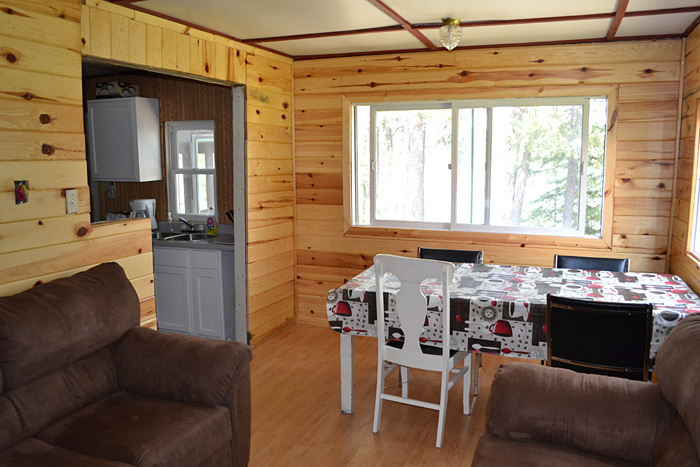 New in 2003, and fully renovated in 2011, this is a bright cabin. 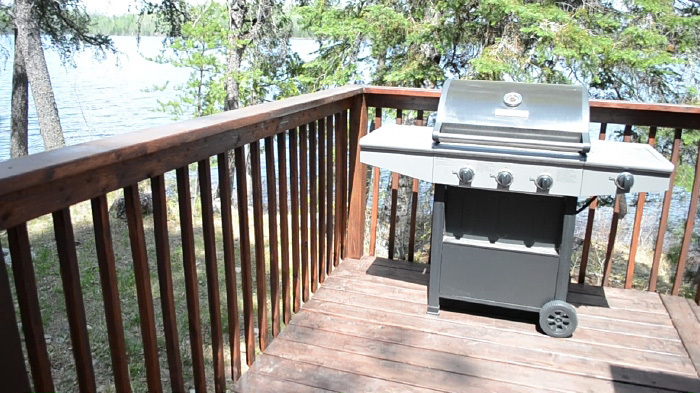 Although it is located above our office, it is fully private with stairs leading to a large deck overlooking Banning Lake. 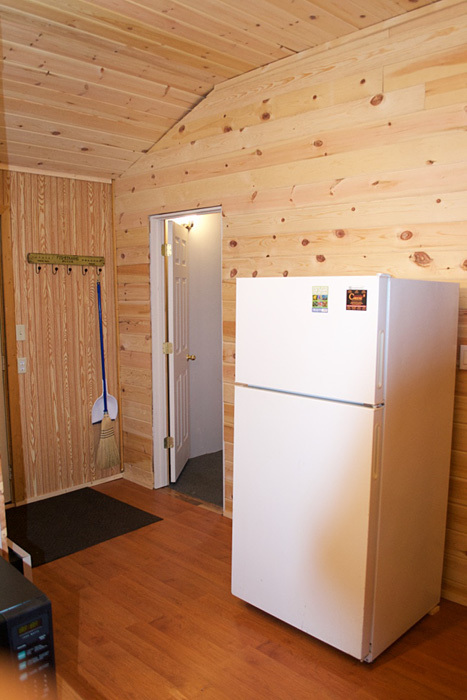 Measuring 24' X 30' this is a 2 bedroom cabin that sleeps 4 - 5 comfortably with 2 twin beds in one bedroom and three in the other. 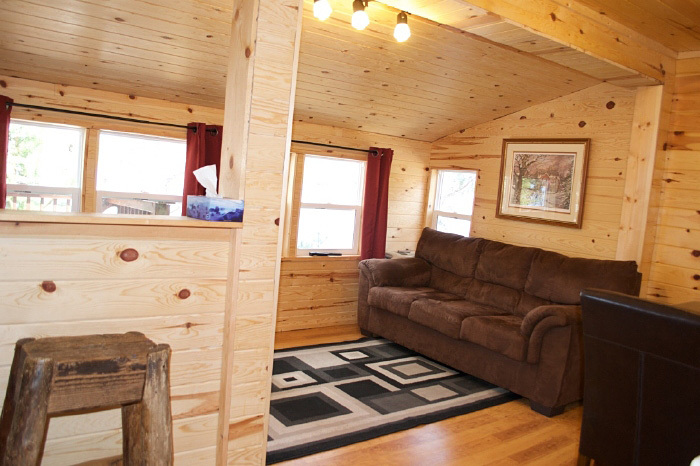 A large 3 bedroom cabin. 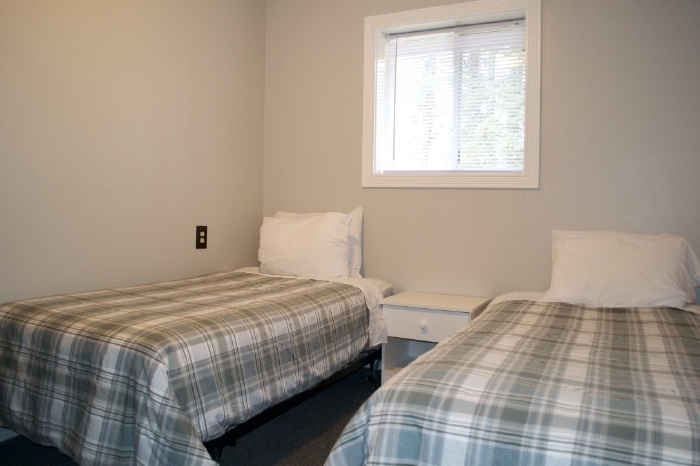 Originally built in the 1980's and used as the proprietor's residence, we switched it into a rental unit in 2002 and fully renovated it in 2012. 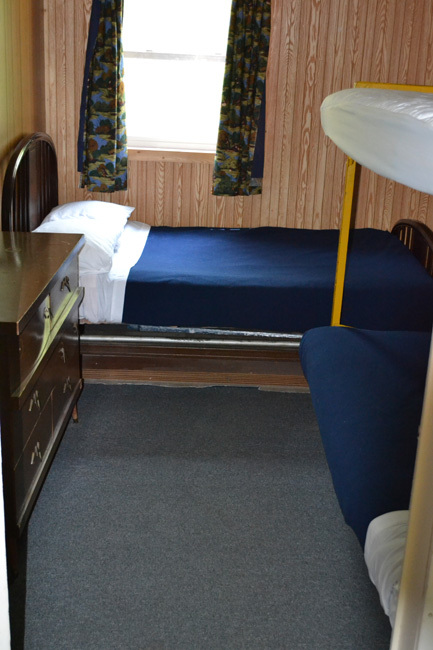 This is a very spacious cabin. 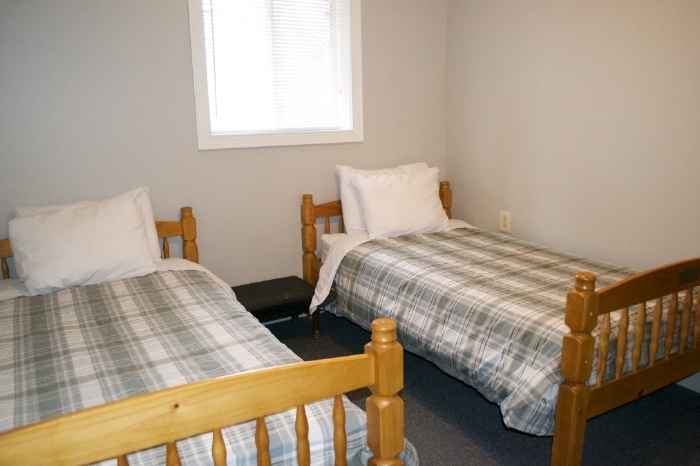 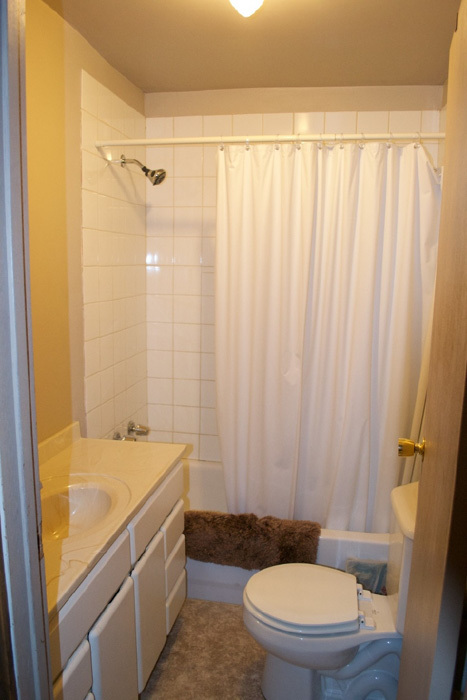 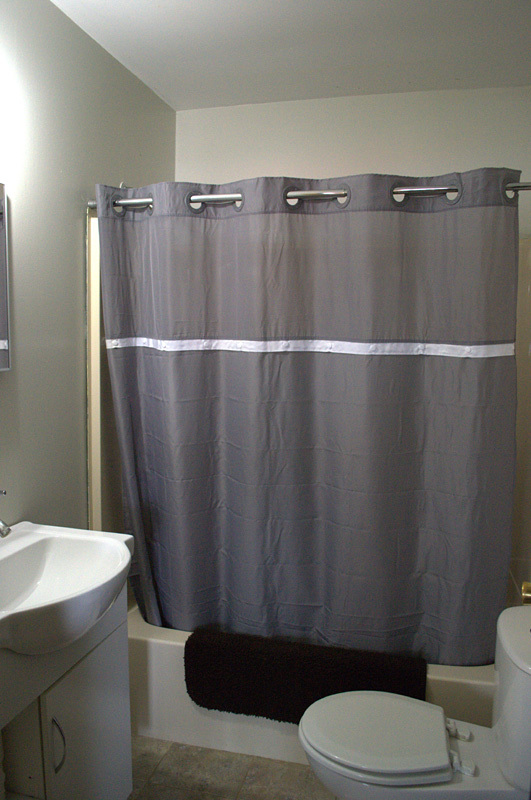 Two bedrooms have 2 twin beds each and one bedroom has 3. 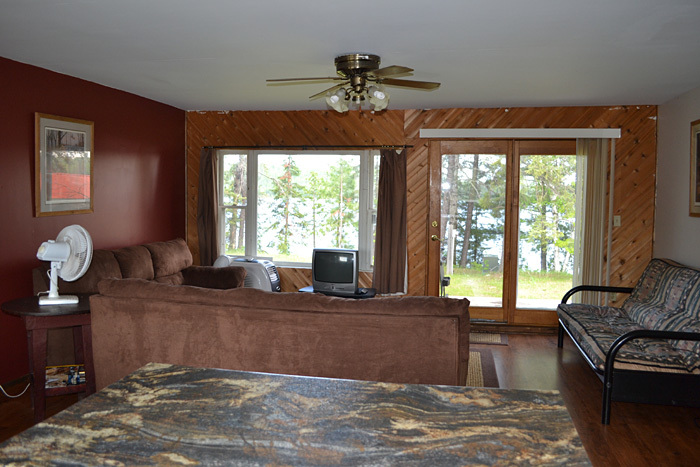 A large open kitchen / living / dining room walk out to a deck overlooking the lake. 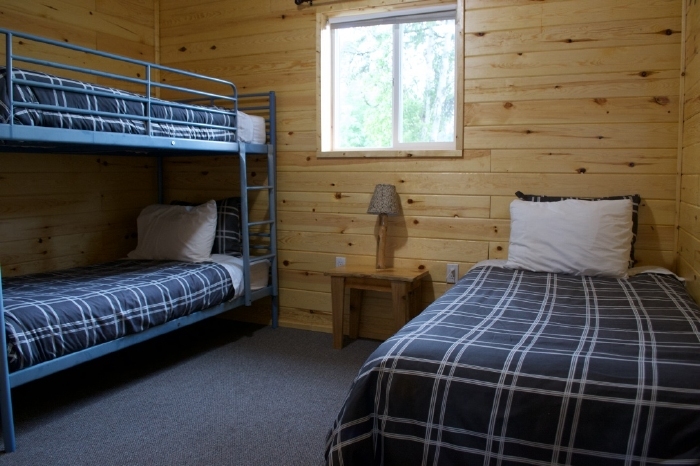 Opened in 2007, and renovated in 2013 and 2017, this is a large ( 24' X 37'), spacious cabin that will comfortably sleep up to 9 people. 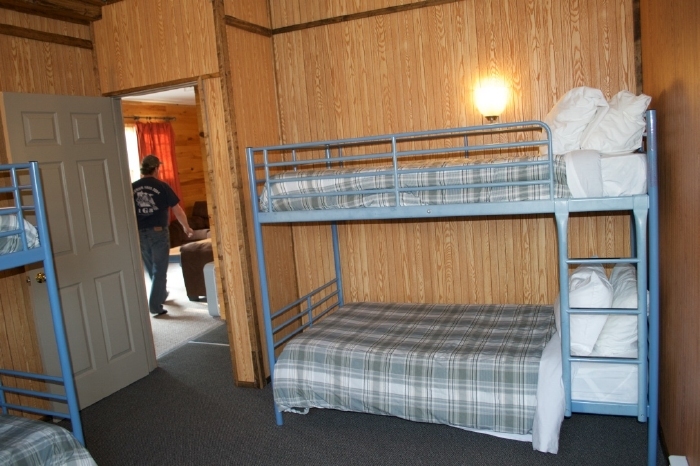 Two of the bedrooms are equipped with a set of bunk beds and a twn bed, and the third has a set of bunk beds and a queen bed. 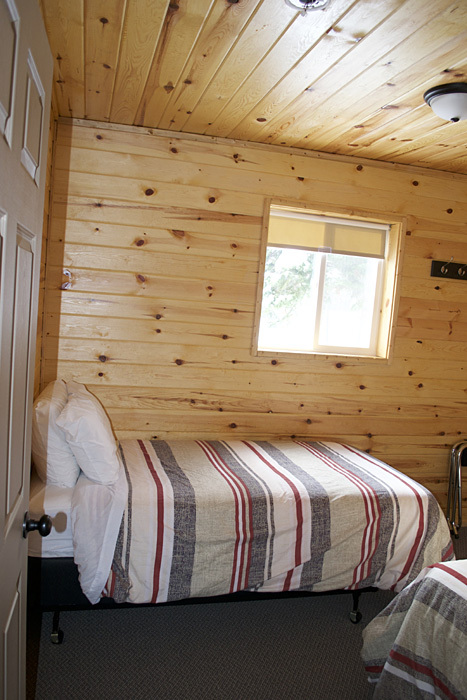 Our largest cabin at 24' X 44' with 4 bedrooms and a large deck overlooking Banning Lake and can sleep up to 10 people.